A day out on the 30" W&LLR. 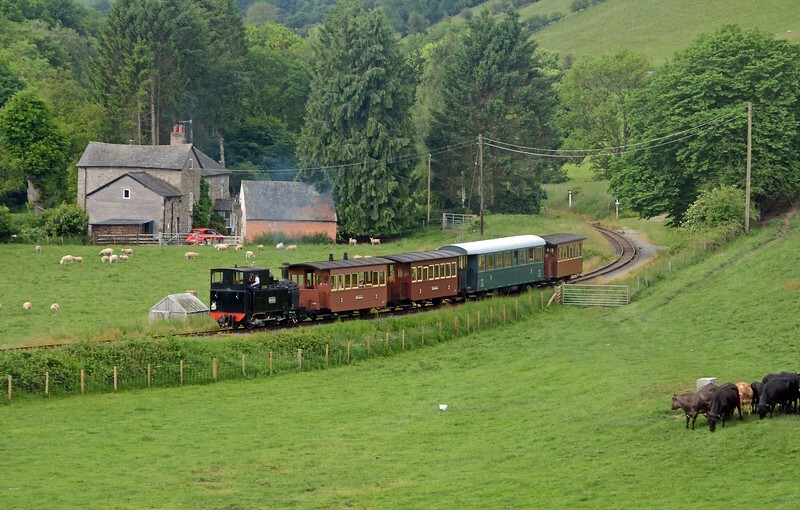 First train of the day, 822 The Earl on the 10:00 from Llanfair. Today was a two train service, 822 The Earl doing three round trips on the ZB / MAV stock and 823 Countess doing two with the Vintage set, including freight wagons.